October 8th, 2016. Let’s help Haiti in the aftermath of hurricane Matthew!! The southern parts of Haiti were hit hard by hurricane Matthew. The small island of Ile-a-Vache suffered incredible devastation and the images we are receiving are heartbreaking. Entire villages were destroyed and recovery efforts will be especially difficult since the island can only be reached by boat. 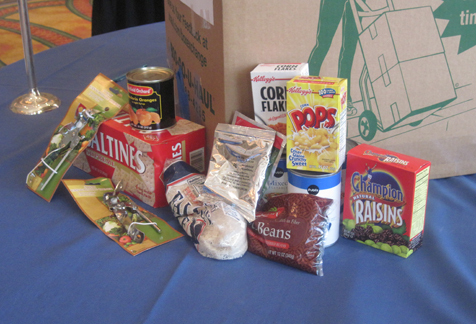 Papaloko4Kids is collecting: non-perishable food, water, baby food, diapers, batteries, toiletries, first-aid kits, tools, clothes, shoes and more to send there. We will deliver these donations directly to the people on the ground in Haiti with the help of Captain Ray Thackeray of the International Rescue Group. 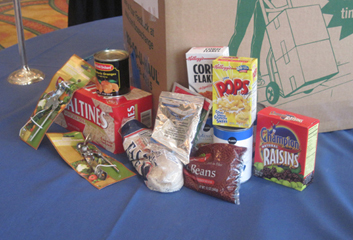 You can also make monetary donations to Papaloko4Kids via PayPal. Every dollar, every penny counts!!! No contribution is too small…. 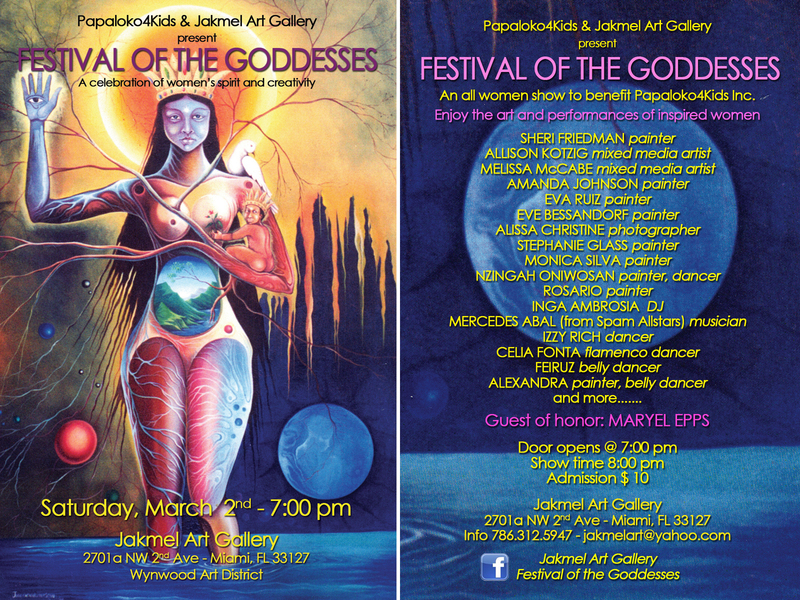 The “Festival of the Goddesses” is a celebration of women’s spirit, talent and creativity. Join us and spread the word!!! 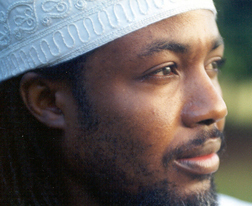 Papaloko4Kids Inc., is a non-profit organization founded by Haitian artist Jude “Papaloko” Thegenus with the mission of empowering children through the arts. “Papaloko4Kids is a dream come true. 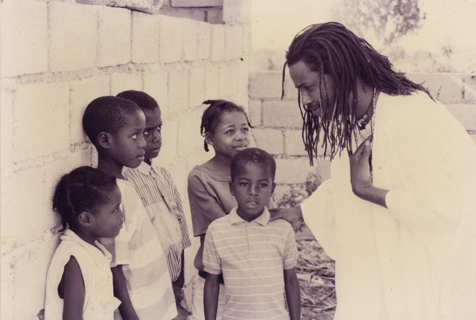 It is a project I have been working on ever since I left Haiti in 1986, with the image of the poor kids wondering the streets of Port-Au-Prince…..”. Papaloko4Kids teams up with Hands On Miami to send “care kits” to the victims of the earthquake that devastated Haiti in January 2010. 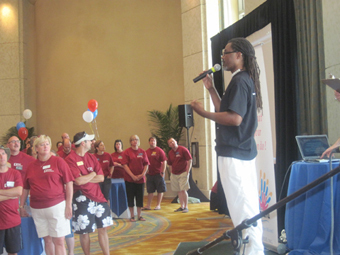 On April 23 hundreds of volunteers gathered in Miami Beach to assemble the packages. Thousends of kits are now on their way to Haiti and part of them will be distributed by the local Papaloko4Kids representatives, Marie Devalcin and Samuel Celicou, in the areas of La Plaine and Petite Place Cazeau, near Port-au-Prince. 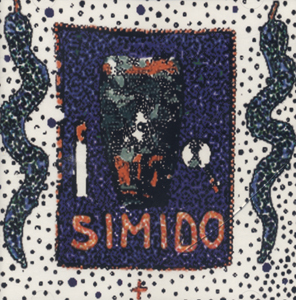 German drummer and percussionist MARCUS COTTON-SCWARTZ donates 10 copies of his CD SIMIDO to Papaloko4Kids. All proceeds of the sale, $20 including shipping, will help support Haitian drummer Ton Ton. Ton Ton is the oldest haitian drummer leaving in Miami, still performing, teaching and passing along the traditions of haitian drumming. Contact us at papaloko4kids@yahoo.com if you would like to purchase the CD. Donate now to support our programs!!! 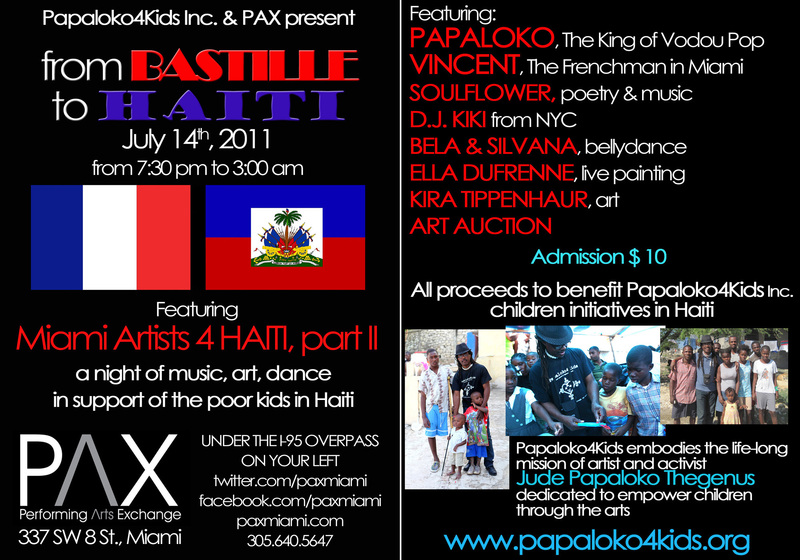 Papaloko4Kids is actively involved in the Haiti relief effort. 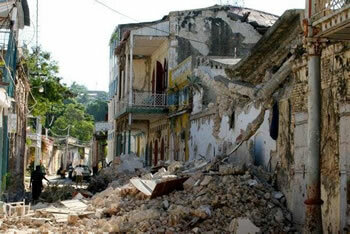 We are working with people and organizations on the ground in Haiti to provide help to the victims of the devastating earthquake that hit the country on January 12, 2010.